What would it be like to earn money while gaming? How would it feel to play your favorite game and be paid for it, while at home? To create such an amazing world, ULTI Coin team is constantly seeking new business partnership. 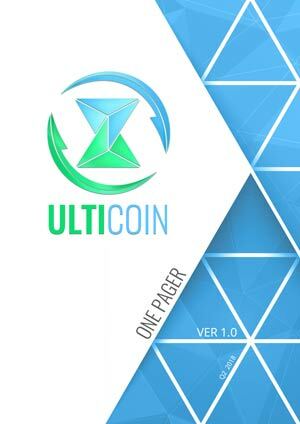 • If you are a gaming company that wants to enlist your game to ULTI Coin. We are open for cooperation with any gaming company that creates video games. Regardless if you are big or small. We are already working with several indie companies, and have negotiations with a few big ones. Our primary goal is to implement our application and achieve a business partnership with as many games as possible. What are the benefits of adopting our project? Every company that adopts ULTI will have a bigger player base in each of their implemented games, which leads to higher profits in general. Our platform can be implemented on existing games, but it can also be implemented from the start of your own gaming project. ULTI supports all gaming platforms (PC, Console, Mobile). For any reference, questions, and support please fill in the business partnership form provided below. • If you are a software developer. Our team is growing every day, and we are always looking for new young talents and enthusiasts in IT and programming sphere. If you are someone who is knowledgable in JAVA, PHP, Python, C++. If you are a passionate gamer and want to become part of a true gaming revolution - feel free to contact us by filling the form below. • If you want to become a ULTI Coin sales agent. Sales network is one of the most important things in new projects - especially ICO's. Our sales team is always looking for new young and energetic people to widen the network. Our team is guided by several individuals who are true experts in the sales field. If you think you have the knowledge, enthusiasm, and experience. If you are an entrepreneur, influencer, or maybe even have your own network of agents, feel free to contact us.